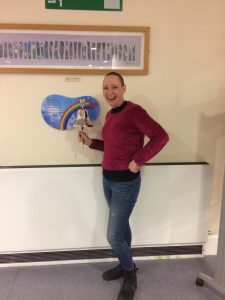 "I was 40 something, single parent to two teenagers and in a hole of no self confidence and no self esteem which had been dug out for me over the previous years", writes Emma Birchall. "I decided I needed something to get me out of my hole, improve my confidence to make me strong er of body and mind. So I went for a run, found I was completely rubbish at it and I was deflated, my new running trainers became my decorating shoes! Training began, for the running element I joined Prestatyn Running Club and this is where my love affair with running began. 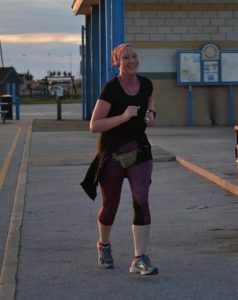 I was a ‘beginner’ and on my couch to 5K journey, we were all in the same ‘beginners’ boat of novice’ness with a captain who steered us through - we got to our 5K and we all gathered on a fine day to prove our ‘runner’ status by completing our first parkrun at Conwy - what a day - full of fight and confidence after what was only a few weeks. I soon found my passion, cross-country and I was getting stronger and quicker week on week. I had gotten to where I wanted to be. One of life’s curve balls was just around the corner with a diagnosis of breast cancer. I was strong. I had stamina and I knew I had this…. I was going to see this through and I was going to keep on running. Chemotherapy began and my legs for the first while kept going, but soon it was like running through treacle. So short treacle runs is was for me. With my treatment now completed its my time to rebuild and return to my passion of running through fields, over hills and through streams with mother nature throwing in what ever she desires……. PB’s in life right there….!"